As we are only a couple of days away from the Christmas here, it is easy to get caught up in the energy of excessive effort and struggle. We overwork and exhaust ourselves. Today we will explore letting go of effort, starting right here. You have a choice whenever you do something, to try harder, to apply effort or to let go and allow yourself to flow naturally with the world around you. Focus on what you are doing, allow your attention to go into it, but you do not need to strain. 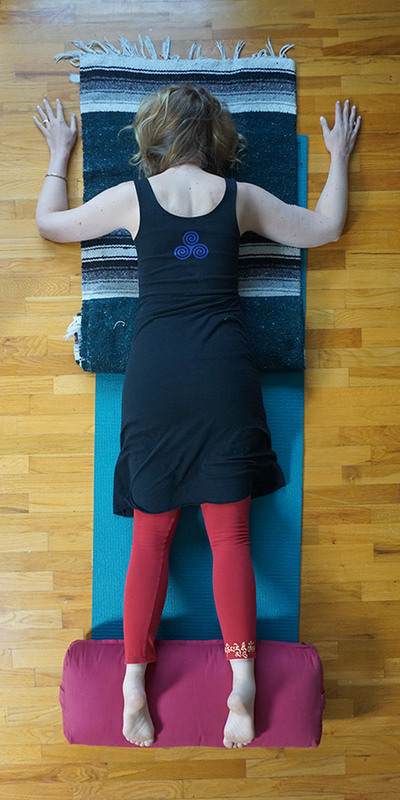 Restorative yoga can be a fabulous container to practice without effort. We can come into the poses and allow the props to support us. Then when we come back into our lives we can ask ourselves, how can we go with the flow? How can we be conscious and aware and yet have ease as we go about our day? We can still do our work, we probably just do not need to try as hard most of the time, just like in our yoga postures, the yoga posture will do the work on our body once we get into the shape. When we meet our lives half way with effortless action, we do not need to work so hard. When you focus on letting go of effort, you are releasing tension from your physical, mental emotional and energetic bodies. Deeply relaxes your body, stills your mind and calms your nervous system. Letting go of effort will open you up to the natural ebb and flow of life. Helps you open a more compassionate understanding towards yourself and others and will enhance your emotional connection with yourself and those you love. Where does effort creep up in your body? Where do you feel like you are trying too hard in your body? If you would like a short 10 Minute Yoga for Anxiety Meditation to help with the transitions in life then put your email in the opt in box and we will be happy to send that to you.